My friend was raving about this concealer and I finally gave it a try i absolutely love it it’s very Good blends absolutely amazing very easy to apply and it’s very affordable recommend.!! 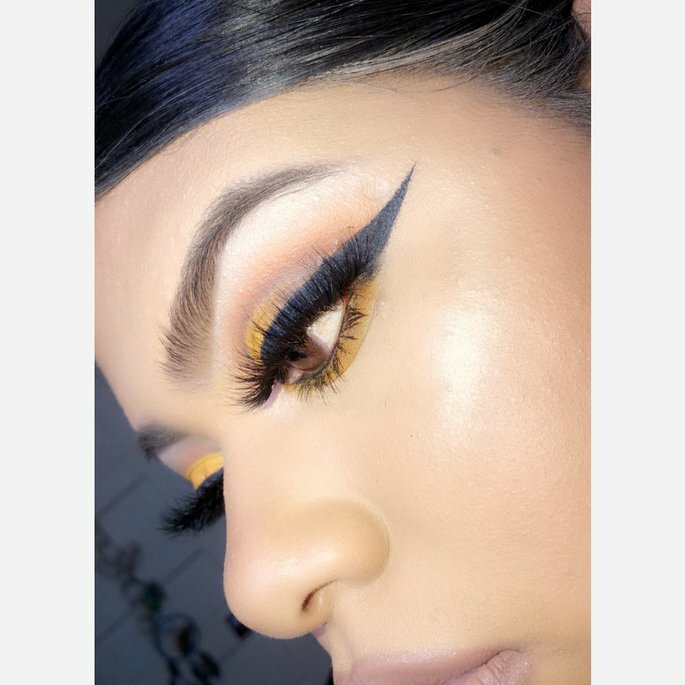 I em very picky when it comes to lashes but this Vegas nay lashes are super easy to apply I’ve used them so many times they are very good price for the quality of the lashes I recommend.! Amazing eyeliner goes on very smooth and does not smudge at all I recommend it also stays on for a while..
Best moisturizer there is i have really dry dry skin and this really helps for it I buy From Walmart and it's good for the price didn't have a bad smell it's actually not that bad recommend. One of my favorite BBQ sauce it's the best I've made BBQ ribs and they come out with awesome flavor I definitely recommend. My to go holly grill highlight very blinding and smooth Application not patchy buildable this peach goddess is great for any skin tone worth the price. Very good foundation for oily to combination skin great buildable coverage leaves a Matte finish.